Enhance your Yoga Teacher Training with continuing education. 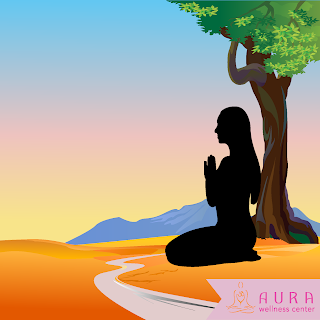 Do you include mudras in your classes? Are you looking for more smooth ways to incorporate them into your sequences? Why do so? Mudras are ancient hand and arm positions that can focus both mental and physical energy - and much, much more. Western culture students will appreciate them more if they compliment the current pose, are not the sole focus, and aren’t overly esoteric. Let’s look at four places where we can incorporate mudras into a typical Vinyasa flow. 1) Guide students to take a seat, in Hero’s Pose (Virasana) or Easy Pose (Sukhasana). Have them reach arms up into an Upward Reach (Urdhva Hastasana). 2) Mudras that work well here include fingers interlaced and palms facing up to the sky (stretches the hands and wrists), Steeple Mudra (focuses energy upwards), and thumbs hooking but trying to pull apart (opens the collarbones and shoulders). 3) Cue your students to feel a rooting down through your seat, and a rising up through the top of your head. Ask them to try softening through the face, teeth, and jaw. 4) Cue them to take any other variations that feel right here - a gentle backbend, a sidebend each way, or a twist each way (going right first, per the design of the digestive system). Take the other side of twists or sidebends. Release the mudra and take a few breaths in your seat, noticing the effects of taking it. 1. Cue a lunge pose, taking the left foot back. Students can keep the back knee lifted (grounding through the ball of the back foot) or drop the back knee down (pressing through the top of the foot to allow the shin to take pressure off the knee). 2. Guide students in setting a stable base here, feeling the outer thighs spiral outwards while the inner thighs hug in towards each other. Reach the arms out and up to set up the upper body in the pose. 3. Hug the arms slightly inwards towards the ears. Find a lengthening upwards on breaths in, and a softening on the breaths out. Cue any of the mudras you explored with seated poses - and any additional sidebends, backbends, or twists (taking the right first and then the left with twists, and making sure to sidebend to both sides). 4. Guide students through all of that on the other side - moving through a Vinyasa or integrated into a longer sequence. Remind students to try to find ease while enjoying the focused strength that these mudras help bring. 1. Guide students to set their feet three to four feet apart (depending upon height/leg length). Ground down through the outer edges of the feet and the big toes, but lift through the insteps. From these actions feel the tailbone become heavy, the outer thighs spiral outwards, and the inner thighs hug in towards each other. 2. Cue them to find a mudra with the hands - “Steeple” mudra and simply interlaced fingers work well here. These help open up the chest, fronts of shoulders, and collarbone area in the pose. 3. Then instruct them to fold forward from the hips, leading with the crown of the head and keeping a long, flat spine. Once students are folded to the extent possible, they should try to fix the gaze upwards and backwards (in relation to the direction the toes are facing). 4. Ask them to try releasing any tension in the face, teeth, and jaw - redirecting that energy to where it's more useful, in the legs and core (which are working to keep to them stable in the pose). When ready, they can slowly and gently rise the torso - either fully or half-way up, depending upon where you intend to lead students next. 1. Cue students, from kneeling, to take the right foot out and find a “Mountain Pose” foot there (grounding down through the outer edge of foot and big toe while lifting up through the instep, as described). Feel the tailbone drop. 2. Instruct them to rise the arms out of the shoulders, lifting with the biceps rather than the shoulders (which should be as released as possible). Ask them to lift the chin just slightly and set the gaze. Have them reach the arms up in an Urdhva Hastasana shape, and then find a mudra from there (among those mentioned in seated poses, or others that may intuitively work here). 3. Guide students to lift through the spine (from the pelvis to the top of the head) on a breath in. Have them sidebend to the right on a breath out, and hold for five to ten breaths. On a breath in, have them rise the torso back to vertical. 4. Cue them to release the mudra, to then take the hands back down to the ground. Have them take the right foot back in to re-ground through the right knee, so that they are again kneeling. Lead students through the same process on the next side. Do your students ask you questions, give you feedback, and share any physical or other concerns they may have in regards to practice? Do you wish they did that more often and/or in more depth, and wonder how you can encourage them to do so? Students know themselves - body, mind, and spirit - better than we instructors ever could. Yet they don’t always know what to do with that knowledge. Our knowledge of practice with their insight on themselves can come together to lead to their best practice. Yet students don’t always consult us. Modern Western cultural traditions can put yoga instructors on a pedestal of authority, who are to be listened to and not questioned - rather than to engage and collaborate with. This can go to the point of us asking individual students if something feels all right, and they can answer that it does when they are actually feeling pain. We should of course take students at their word, but also use other signs and tools to get to the root of their experience - so we can best serve them from there. So, how can we guide students towards that truthful, authentic engagement? The first way in which we can do that is more of a practical one - class structure and the common cues (to whole classes) that we offer at different points in class. For instance, certain questions are important to include in a class opening - if anyone is injured or has a more chronic anatomical issue, if anyone is relatively new to yoga (first to fifth class), and if anyone might be pregnant (but anyone a good deal along, with a very evident “baby bump”, should be directed towards a prenatal class). You can ask these questions when all students have their heads down (such as in Child’s Pose), or with closed eyes during a seated start - so that no students will feel self-conscious about revealing these things in front of other students. A bit later on, in the first resting pose after more active asana and flow, you can remind students that they can come to such a resting pose at any point during class when they might feel they need it. To end class, you can offer students the opportunity to take versions of more restful poses (such as supine twists and gentle hip openers, including Lizard Pose and Figure-4) that work best for them. Throughout class you can remind them to take what they need for themselves, in such ways. A fun way to allow students to make their practices their own is to - if the class duration is long enough - include a “free flow” section. In these sections, students can hold and flow through poses that feel best for them, partly guided by upbeat music. This has an additional benefit of training students in, and building their confidence for, building their own home practices. Yet this method is likely not best to include in classes specified as beginner classes, wherein students will most likely need more guidance (for safety and benefits of poses) and confidence to flow on their own. With more experienced students, however, you can assure them of their capability to flow by their own intuition - and trust that they can really do so. These steps truly do begin to show, or reinforce for, students that they have agency in your class. With that agency, they can feel empowered to collaborate with you to help create their best possible practice. That collaboration can be indirect, such as them making modifications to the poses and flows you offer them. It can be direct, such as direct conversation or non-verbal working together (such as through gentle hands-on assists, with permission understood through other ways). To bring forth something even more specific, I would like to describe a particular method of a favorite teacher of mine. What specifically strikes me about her teaching is her use of questions - sometimes verging on a Socratic method. In her classes, this use of questions makes me feel as if I’m truly learning. She asks students about their experiences, and to reflect in certain ways - such as if one side felt different from another. This may put students in a place wherein they feel challenged, or perhaps even uncomfortable; it’s certainly not conventional for yoga instructors (at least the ones I’ve learned from). Yet the advantage of leading students to be more reflective, and truly more engaged in class through that deeper thinking, is certainly all the worth it - in my humble opinion. In addition, her kind and assuming - very much non-intimidating - demeanor likely balances out any of that discomfort. That addresses another significant aspect of teaching that determines students’ levels of willingness to engage as students - the energy the teacher brings. Confidence (in both self and students), positivity, non-judgement, and supportiveness can put students in a place wherein they’re more likely to engage - being accepted, supported, guided but not ordered, and in a place where they can reach for their highest selves. Do you hear students talking about the news? Do they seem tense, tenser than usual? Does it seem like they’re coming to yoga to find tension release from all the craziness? No matter what side of the political divide people fall, we all feel - and likely internalize - the enormous amount of partisanship and tribal fighting currently happening in America. There are also existential threats that (at least should) transcend partisanship - such as the interference of autocratic Russia in democratic politics and the nuclear threat of North Korea. The news also seems unrelenting - new revelations, new rulings, new leaks, new “tweets”, new controversies coming out by the hour. The advent of widespread social media use, and subsequent sharing of news over social media, is inarguably a lot for the human system to handle - arguably more than we were designed to take in. Add on increasing responsibilities at work, with family and friends, with other miscellaneous obligations, and it can certainly be - at the very least - far more than we’re used to handling. “Mindfulness” is a term that’s spread through modern culture far beyond yoga. Yet it can understandably feel out of reach for many people, caught up in all those stimuli as they may be. Some may still come to yoga for a great workout or other physical health benefits, or perhaps to be in community. Yet, and I want to emphasize that I don’t know this, I wouldn't be surprised to hear proof that more people than ever are coming to yoga for a place of calm amidst a socioemotional, sociopolitical storm. I hear the need for that respite far and wide - in media, on the street, on public transit lines. It seems a natural progression that yoga practitioners - more or less regular people out there in the world - are looking to practice to satisfy this need for calm. Should this need change our teaching? I would only say that, as teachers, we should do our best to serve the needs that we observe. Perhaps teaching as we always teach will do that. We can, however, be more intentional than ever about holding space. One way that we can do this is to stay fully focused on yoga and avoid conversation on controversial socio-political topics in yoga spaces. In my view, we can engage if students bring up such topics, and we can’t frame or prohibit their speech - being clients and autonomous adults. If studio owners might want to set in place some sort of disincentive for such speech in their spaces, that’s perhaps another discussion. What we can do is perhaps shift conversations away from these matters. We can do what we can to help preserve yoga spaces as neutral, peaceful, and sacred space away from all the external commotion. That offers people a place to go to escape it. There are plenty of other spaces for valuable discourse, activism, organizing, and learning. In having a calm, centered demeanor as a teacher, we can be part of that holding space. A concrete example of benefiting from this holding of space was when I recently took a Hands-on Restorative Assisting Training. We learned about important concepts in safety, consent, principles of empowering touch, the nature of trauma, and trigger symptoms. No one brought up the news. I didn’t look at my phone. As (admittedly) a staunch Progressive, a small piece of the back of my mind was likely still concerned about the direction of the Supreme Court (given recent news) and what it will propel in this country. Yet that piece was silent quite quickly. I felt held and supported in this space of learning and sharing. In a community of like-minded individuals, all supporting one another and growing together, any external threats that I'd been empathically perceiving (as a person of relative privilege) didn’t have to matter. This seems like a context that any yoga class could become, with the teacher effectively holding space for this communal support and growth. At the same time, yoga is in the world, and should act like it. In addition, seva - or selfless service - is a yoga practice. There are ways we can beneficially engage in current events, taking into consideration the studio community and local community. An example of this was a benefit class at a studio where I teach, for RAICES - a legal defense fund for immigrants. While I wasn't available to attend the class, promotional materials and discussion about the event seemed focus on compassion and connection - very much yogic values - rather than any political specifics. The class was also a values statement from the studio. In the Progressive community surrounding the studio, and within the studio itself, this statement would seem to be well-received. This might not be the case in communities with a different worldview. All of that aside, the class offered space for people distressed about current events (again, in the worldview of these external and internal communities) and to feel as if they were doing something to help. At the same time, the studio practiced seva by offering this space. There’s no right or wrong way to do that, only effective or less effective for any given context. I’m sending peace in your efforts to hold space in these tense times. Have you experienced trials with the business of modern Western yoga? Have you seen yoga instructors facing such trials? Did you support them? Were you supported? In most locations, more yoga instructors are being trained in, and interested in, teaching than there are available teaching opportunities. The result is a market oversaturated with teachers. Catty, self-interested competitiveness could easily emerge in such a context. Practicing yoga doesn’t mean that you’ve perfected yogic values - it only means that you’re practicing them (at very varied potential capacities and consistencies). On the other hand, I personally have only seen neutrality or overt support from fellow yoga instructors in this matter. I’ve seen fellow instructors give other instructors teaching tips, offer subbing and leads for longer-term work. Other instructors certainly might have a different experience with this. When we trust that what is ultimately best for us will occur, we will not feel defensive and self-protective. This is a practice of non-grasping (aparigraha). Drastic competitiveness can result in action of stealing what should be others’ - if we think of connections and opportunities as capital for building yoga teacher careers, they’re definitely things we can say can be stolen. The opposite would be non-stealing, or asteya. As mentioned, I personally have never heard of it happening, but I can imagine teachers engaging in gossip and starting rumors to try and undercut other instructors. These sorts of actions can result from jealousy, insecurity, and/or feeling threatened. Most perpetrators of such actions don’t feel good after doing them. It certainly doesn’t feel good for the person who is the target. On the other end of the spectrum, we can support each other, recognizing each other’s struggles and do what we can to ease them. This takes open communication. If we see instructor friends struggling, we can ask how they are - opening up space for them to confide in us about their struggles. If we are struggling, we can communicate that. In fact, I’d like to share a story about myself doing this that ended up in me feeling more supported in my teaching work. A few months ago I connected with a teacher who came back to Boston from Vienna, on Facebook. I was a bit frustrated to see her getting a lot of work quite quickly, and also have the availability to travel and cook delicious, healthy meals. I felt some jealousy rising up within me, and also just confusion about how she wasn't struggling more - considering how long it took myself and others I know to make connections and get teaching work in this city. I’m not proud of these reactions - I only want to be transparent about them. Then she posted that she was subbing a class at a studio where I had tried to get work, and got absolutely nowhere. I just had to say something - but I was committed to doing so politely. I asked her if she minded me asking how she ended up subbing there. I also described some of my frustrations with certain turns in my teaching career. She explained that it was through a sale/acquisition of another studio where she’d been subbing. She also opened up that she struggles financially, lives with her boyfriend (who through that is helping her out with housing expenses), works another job, and has to “really hussle”. She agreed that more real conversations about the way instructors are treated, and the values the yoga world lives and works by, are needed. I had to notice how I jumped to conclusions about how she was really doing. I was entirely susceptible to the positive messages of social media, rather than keeping in mind that people often don’t share the deeper and harder things. I was glad I reached out, checking my underlying jealousy and annoyance to speak diplomatically and kindly. We could agree, and both feel heard. Now, we share opportunities with each other when possible. It seems like we’re in each other’s corner. Even without that practical support, I can’t speak for her, but I know that I felt validated. It felt better to not hold those thoughts and feelings to myself. Perhaps more individual dialogues of these types of conversations would lead to wider conversations that could bring positive change to the yoga world. Even without that, individual instructors could be in a better place to go forth serving in their work. 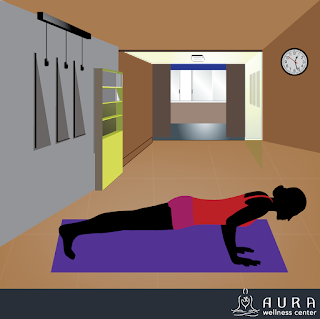 Do you ever guide your students in refining Plank Pose (Kumbhakasana), a fundamental asana? Would you like to learn more about it, so that you could do that with more fluency and effectiveness? Plank can add a good amount of versatility to Vinyasa and related asana forms. With it and through it are modifications to “up-level", “down-level", to add more vigor or ease practice. Read on for tips. Spin your biceps forward, spreading your fingers wide and grounding through every part of your hand. If you need to spin your hands slightly out in order to make those happen concurrently, go ahead and do that. Fix your drishti on a diagonal forward and down. Feel your tailbone draw to your heels, and your belly scoop into your spine. Power up through your quads and hamstrings as well. These actions taken together help create a long, strong line (sloping upwards) from the heels to the head. For Side Plank (shifted to one hand, the other rising up to the sky, and torso facing in the same direction as the raised arm), feel the top hip coming forward. It will want to fall back, potentially leading to loss of stable balance as well as even minor muscle strain. Find a small lift higher with the hips, as they also want to drop downwards. Ensure that the bottom shoulder stays in line with its wrist, just as it was in Plank, with the top arm riding out of its shoulder. There’s a tendency for it to slip back behind the shoulder - try not to let it. Keep the belly scooping into the spine and the tailbone drawing towards the heels. Feel the feet flexing hard, such that they stay in the same shape they were in during Plank. Enjoy the feeling of a powerful and dynamic balance here, one that involves the entire body! There may be numerous circumstances in which you might want to make Plank Pose less physically rigorous - including having students with limited physical capacity (from injury, advanced age, youth, et cetera), or teaching a more gentle class format that still includes Vinyasa-like elements (such as “Slow Flow” or “Gentle Flow"). A classic way to do this is to take Plank on the knees. Instruct students to make sure they’re resting just above or below the kneecaps (versus directly on them). To take this modified Plank into a transitional flow, rather than through Chaturanga, drop the chest in between the thumbs. Allow the bum to go high. 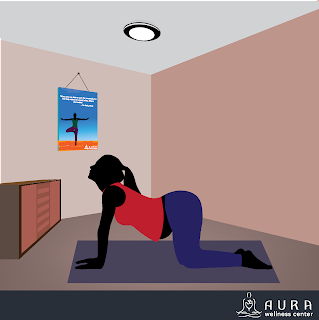 Then slide the heart forward and let the bum drop, to take Cobra Pose (Bhujangasana). Then push back through Tabletop Pose to Downward-Facing Dog. It’s also possible to modify Side Plank - from modified Plank, spin one foot behind the same-side knee. Then stack the hips to face the opposite side, with the arms the same as in traditional Side Plank. Another modified version of Plank Pose is to do it on a wall. This can work well in private lessons or smaller classes that can provide wall space for each student, as well as those with a style and flow that will not be problematically interrupted by having students move to a wall. Have them place palms flat on a wall at shoulder height and shoulder-distance apart. Bend elbows to bring the torso closer to the wall - aiming for all the way, but any degree will help build strength, awareness, and integration. Feel the tailbone heavy and the chin slightly lifting, just like in Mountain Pose. In the case of wrist injury, an option is Dolphin Plank - which takes pressure off the wrists by distributing weight all throughout the hands, wrists, and forearms. It can feel more strenuous than traditional Plank Pose, such as in requiring more core engagement, because being lower to the ground creates a greater need to resist gravity (simply by the laws of physics). All of these versions do require core, arm, and leg strength, but in their own ways certainly less physically strenuous than a full Plank Pose (then perhaps also flowing into Chaturanga). Just as knees-down Plank Pose, it’s a smart way to “down-level" the pose, when indicated. At other times, you’ll have students who will benefit from challenges added on to Plank. These include “Mountain Climbers” - taking a knee towards the chest and stepping the foot back, nothing else moving (not even the hips), and the same on the other leg, switching back and forth a few times. Feel the belly scoop into the spine for stability and strength building. Another variation is the knee crossing the body towards the other elbow, or towards the same elbow. A sequence could be same elbow, center, opposite elbow, all again in reverse. Another option is to transition from Downward Facing Dog into any or all of the above. It can also be fun to transition from Plank to Downward-Facing Dog, with no other additions. Cue your students to roll through a Cat Pose back on the way up and down, for additional strengthening and sensing of spinal movement. This is all some serious core strength work! To ensure that you’re not overdoing it in what you’re cueing, watch students for signs of fatigue and the lax alignment that can result (which becomes a safety issue). Make it fully clear to them that they are free to take rest whenever they need. And all of the above done with the given that these students understand, and consistently execute, safe and strong alignment. Otherwise, it’s not yet time for these additions. It’s time to step back to square one. Wishing safe, strong, harmonious practice to all! Any posture has some degree of risk. The picture of Virasana brings to mind the contraindications regarding knees and pre-existing knee conditions. What does this have to do with hip replacements? Just getting to the floor after a hip replacement presents some degree of risk and physicians may differ regarding postures they approve. During the times when you have your students, as a teacher, it's your job to care for them in a way that supports their physical health. Many students attend yoga for benefits far beyond the physical. However, the physical benefits can't be denied. If you have a student who has dealt with a hip replacement surgery, it's important to handle them with care. Remember the following points when a student walks into your studio with a hip replacement. When a yoga student comes in and tells you that they've had a hip replacement, one of the first questions, you need to find out how long ago the hip replacement surgery was. The difference in length of time is major. If they had hip replacement surgery two months prior, they'll have a different experience than they would if the surgery happened six months prior. 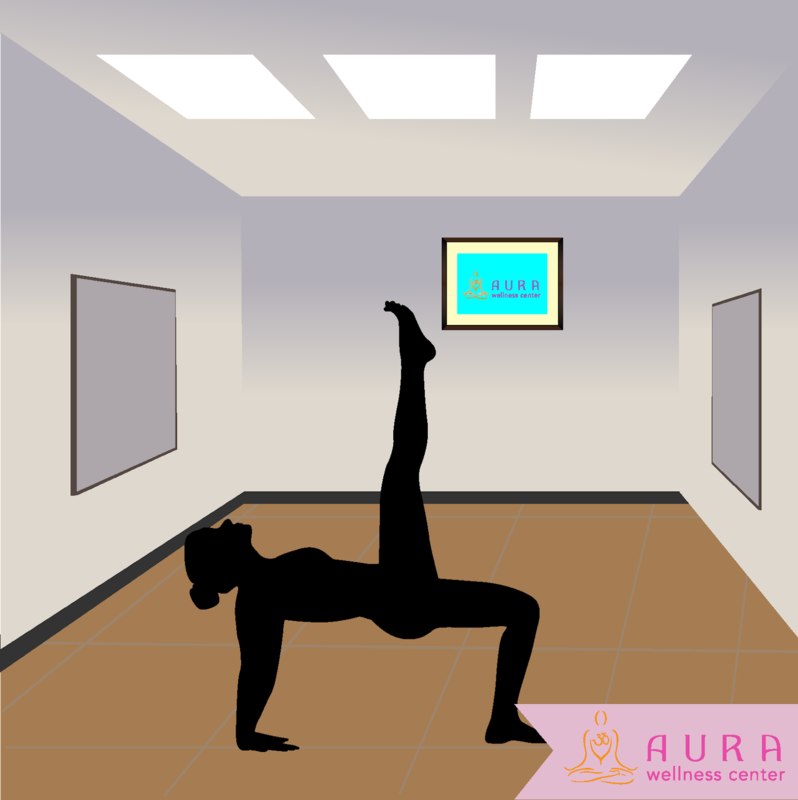 Typically, it's not the greatest idea to begin a yoga practice within six months of surgery. It also depends on the type of hip replacement surgery they had. Once you gain clarity on how long it's bee since they had the surgery, you'll be able to get a better assessment of how to move forward. When a student has walked into your studio and tells you they've had a hip replacement surgery, it's also important to find out if they've received their doctor's permission. You have to think about it from a business perspective as well. You don't want to be held liable for an injury you could've helped to prevent. If you're not familiar with the details of hip replacement surgeries, it's also a good idea to establish a certain precedent. If a student wants to practice and they've had surgery, they need to bring a doctor's note that gives them clearance to go ahead and participate in the class. If they don't have clearance, they can't join in. When it comes to insurance and liabilities, you don't want to get yourself in trouble. It's wise to lean more on the safe side and see a note from a doctor's office. Even when you get the doctor's note, it's still important to be careful throughout the practice. One of the best ways to be careful involves pose modifications. Some of the poses a student might've loved doing are impossible shortly after a hip surgery. This isn't to say that those poses will remain impossible. It's just important to remember that it'll take some time and practice to find a new normal within the body. A simple pose like Child's Pose is very comforting for most. However, someone with a hip replacement can dislocate their hip with this move. For child's pose, a student sits on their knees and feet. They lean their body forward toward the floor. That process of moving the upper body to the floor can be catastrophic. In this case, the proper modification involves sitting upright and staying there. Eagle Pose is another popular pose in a yoga practice. 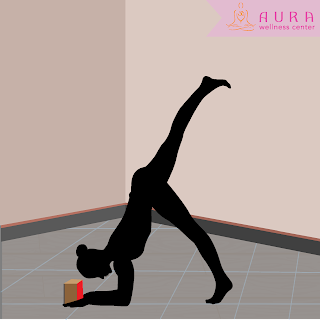 With this pose, a student stands up and wraps one leg around the other while the knees are slightly bent. After a hip replacement surgery, this move can be quite challenging and painful to execute. Instead, provide a modification where the student doesn't rotate their leg around at the usual angle. They can still do the move, but not at the full rotation. Since you're a yoga teacher, it's very important to educate yourself on the types of injuries your students can potentially deal with. When you're knowledgeable, you can confidently help your students experience the restoration they desire as they ease back into their beloved yoga practice. Read books, attend seminars and keep a few medical professionals on speed dial for those times when you have questions. The more you know, the more powerful you'll be in the studio. Have you noticed the amount of competition in the yoga instruction field? What have you done to “stand out” from those competing for the same jobs? Or to reconcile with competition in tension with true yogic values? Some instructors may teach one to a few classes a week, volunteer with their teaching, or do sessions for friends and family in a private context. Those things considered, there are still many, many teachers out there looking for teaching work to fully supply or significantly supplement their income (and, of course, experience all of the other wonderful things about the work) - outpacing the steady rise of yoga’s popularity in the West. A question arises from all of this - who sinks and who swims? It feels harsh to talk about living, feeling people in these ways, but that’s how capitalism does. We need be in a certain amount of alignment with the capitalist system in which we operate. Employers are largely in control of decisions that will lead to who succeeds and who struggles. By and large, they make their choices based upon what they believe is best for their businesses. Sometimes those decisions are wise, and sometimes they’re not. They’re human beings who make mistakes. Either way, often there are people involved who have to be disappointed, sometimes hurt. None of us want to see fellow instructors disappointed or hurt. We of course also need to be of service to others; our practice, and simply being a decent person in the world, calls for it. Yet if everyone were to put others completely before themselves, with a result of self-harm, would anybody really be better off? We must care for ourselves so that we can care for others. As long as we act with integrity, honesty, and kindness, we do not have to feel guilty for our success - by yoga’s moral code or that of any other way of living. There is always a slightly uncomfortable tension between true yoga and the business of yoga in a capitalist society. In my view, if operating within a capitalist framework is what it takes to make yoga accessible to people in these culture, then certain compromises are worth it. Again, as long as we act by our values, we aren’t compromising yoga’s truest, deepest essence. Go ahead and seeks out as many opportunities as you desire and can feasibly be granted. Audition with all your heart and soul. Let yourself be joyful when you are granted opportunities. Also be joyful for others when they are granted opportunities! Let yourself experience natural sadness when an opportunity doesn’t work out, and be there to comfort others when they experience that sadness. This is the kind of connection with authentic self that will also help you to stand out from the crowd of other instructors. No one is better at being you than you! A common mistake of young instructors is to imitate their favorite teachers. You’re not as good at being someone else as you are at being you! People can smell inauthenticity from a mile away, so to speak. It’s not compelling or enjoyable. It won’t get you jobs or people in your classes. No one else is you, as well, so that right there sets you apart to at least some degree! Second, be the best you you can be. Keep up with continuing education, refine your sequences, and seek feedback about your teaching. Practice regularly. Attend to your self-care. Maintain strong social ties and connection to things apart from yoga that light you up. Seek to offer your students the most whole, healthy, and capable version of yourself. That being said, you will make mistakes. You won’t be perfect. Another myth about yoga instructors out there is that we are always morally upstanding, and always make the healthiest choices. If that were true, we wouldn’t need yoga. We would have reached Samadhi. By and large, we do our bests to practice what we preach. But we’re human! Any expectation, from ourselves or from others, to always act in perfect adherence to yogic values is unfair and unrealistic. Another way to stand out from the yoga instructor crowd is to leverage your unique experience. No resume nor life story is the same. Do you have training in math and science? Pique your students’ interest in the physics, geometry, and anatomy involved with yoga. A trained musician or singer? Offer your students live music or singing to open and close classes. Are you a dancer/choreographer? Use your sense of movement and the body to craft enjoyable and intriguing sequences for your students. Office/management experience? Be great at organizing and promoting your business, as well as connecting with other businesses and clients. The point is to offer yourself in the fullness of who you are. By the reasoning of Deepak Chopra’s Law of Attraction, the opportunities that align with that fullness will come your way. If you focus on the goal, rather than the competition in the way of reaching it, they’ll be nothing stopping that Attraction. Yogic Happiness - Fact or Fiction? What Type Of People Should Take Yoga Teacher Training Online?